I was wearing a grey skirt and mauve shirt… what scarf could possibly match? For some reason, I dug through my “give-away” pile of scarves, and uncovered this beauty, which matched my outfit perfectly! I think that I had it pegged to give away because it is a little dark for my skin tone… but still! It was almost *too* perfect in terms of matching, know what I mean? Anyway, I tied a simple long scarf bun with it and added a small pin; Does anyone want a tutorial on how to tie a bun with a long scarf? 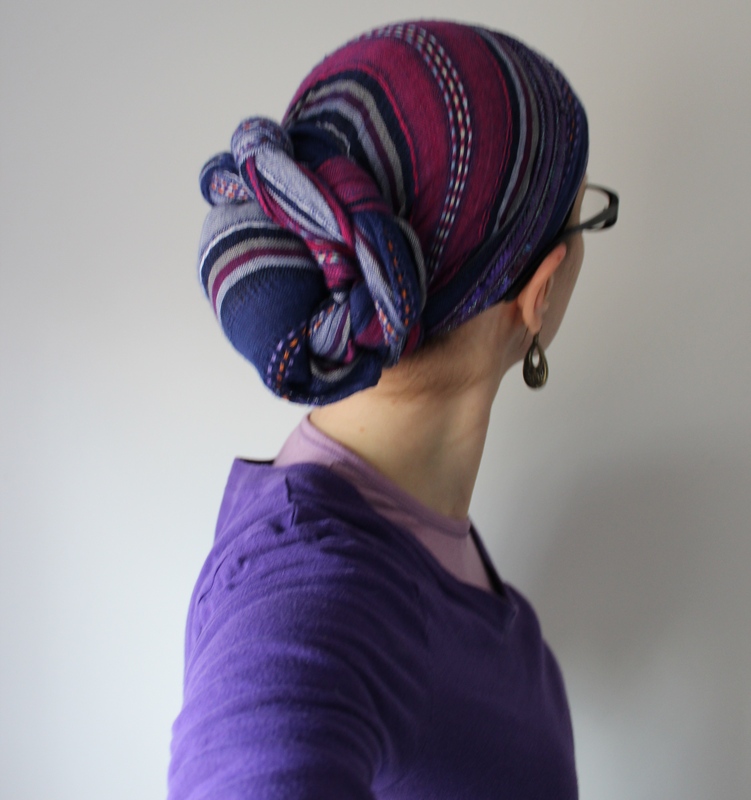 I did a basic long scarf bun (see how: here), and twisted the end around. Instead of tucking the final end in under the bun, I tucked it into the actual twist, leaving the end hanging, and adding a flower pin. Voila! THE Simplest Long Scarf Wrap! Ok – this one is for when you are pressed on time but still want to look awesome! The wrap is almost the exact same as the “Royal Twist”, except… no twist! This works with all kinds of long scarves… thick, thin, longer, shorter, silk, wool, textured, smooth, solid, or patterned. 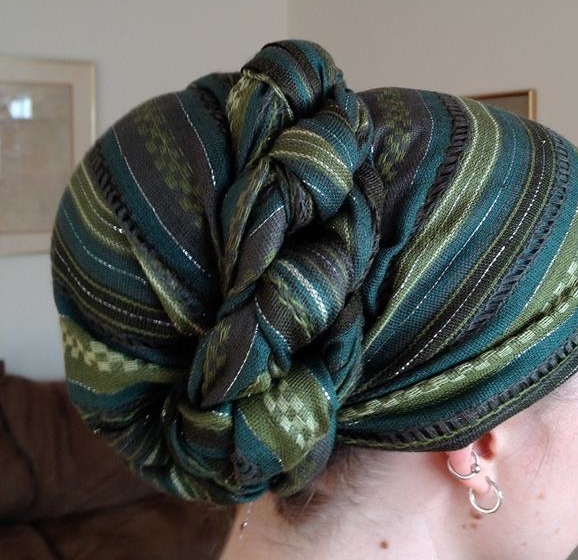 This is my current go-to wrap, and can be done super fancy or casual, depending on the scarf you choose. Enjoy and happy easy wrapping!